June 6, 2014 – It has been seventy years since June 6, 1944. No single day of World War II was more important in turning the tide against the Nazis. Unfortunately, this came at great cost to American and Allied troops, as more than 4,400 servicemen died. 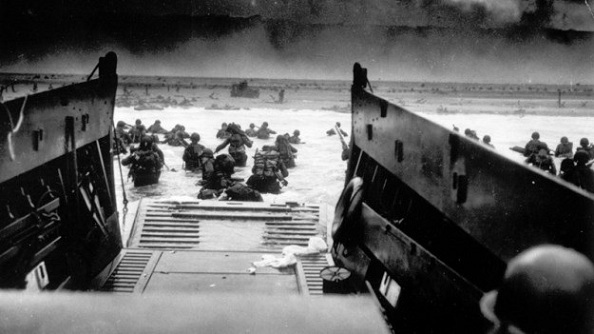 For an amazing account on what went on that day, read: First Wave at Omaha Beach, by S.L.A. Marshall, the Atlantic (Posted at NationalJournal.com on June 6, 2011 in Foreign Affairs). For a great overview of the entire D-Day invasion, see “Normandy Landings” on Wikipedia.com. This entry was posted in Uncategorized and tagged D-Day, nazi germany, Normandy, Normandy landings, Omaha Beach, World War II, WW2, WWII on June 6, 2014 by Travis Normand.